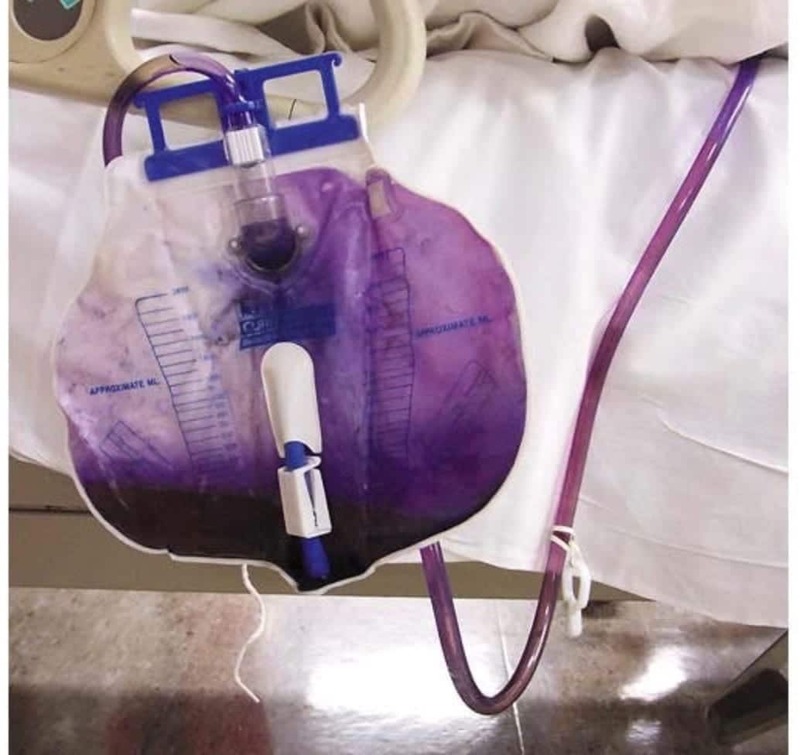 A 76-year-old male nursing home resident with dementia and end-stage renal disease who was undergoing hemodialysis was admitted to the hospital after a syncopal episode that occurred during dialysis. What are potential causes of purple urine? The clinical course is benign, and the urine typically clears with resolution of the bacteriuria and acidification of the urine.